Nematodes are tiny, round-bodied, unsegmented, worms. Plant parasitic nematodes cause economic losses to horticultural and field crop worldwide. With serious concerns about the use of nematicide in terms of food safety and environmental quality issue. Nematode parasites of plants have diverse life cycle strategies that are important considerations for designing management strategies. Generally there are four stages of a nematodes life: egg stage, four larval or juvenile stages, and adult stage Plant-parasitic nematodes occur in all sizes and shapes. The typical nematode shape is a long and slender worm-like, but often the adult animals are swollen and no longer even resemble worms. They range from 250 um to 12 mm in length, averaging 1 mm, to about 15-35 um in width. Due to their large population, Nematodes have a short life span, so their population levels change in large numbers. Nematodes are dioecious, with separate male and female genders. 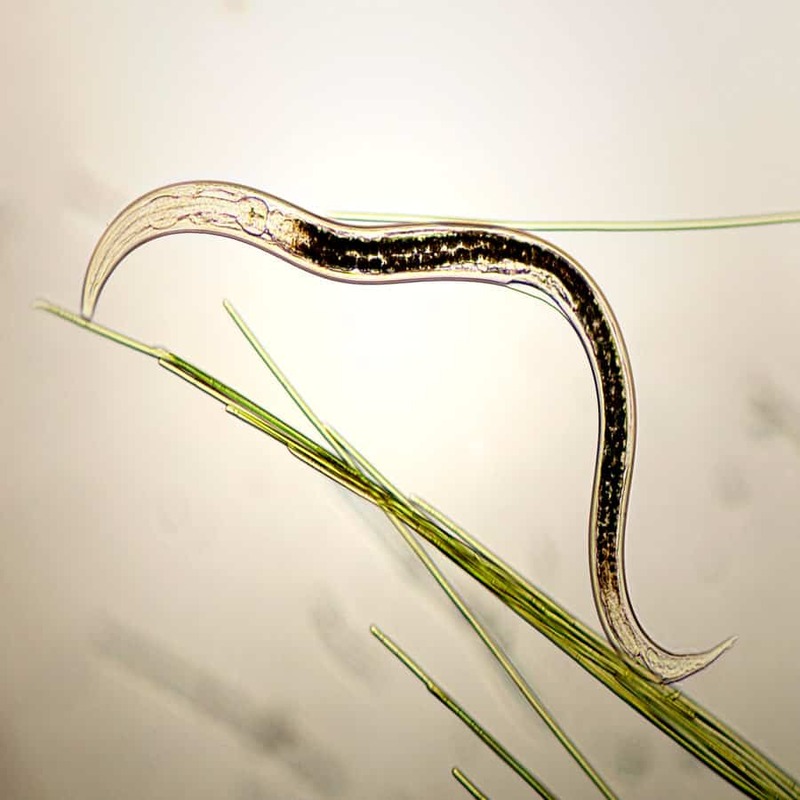 The nematode uses this stylet to puncture plant cells, to withdraw food and also to secrete protein and metabolites that aid the nematode in parasitizing the plant. Stunting and yellowing with a tendency to wilt. Distorted, swollen and bearing knots of various sizes on roots. Mid- day wilting of the crop, Patched of poor cropgrowth on the field,galls on the roots,stubby roots and lesions and dark spots on the root.